Our Digital Sound Level Meter accurately interprets measurement data to 0.1dB. Digital Sound Level Meter, offered by us, features a record mode which stores maximum and minimum levels for later recall, and a max hold which freezes the maximum reading on the display. 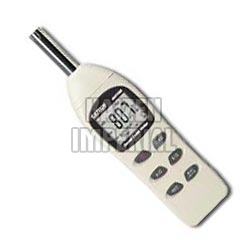 We offer a wind screen and 9V battery along with this Digital Sound Level Meter.